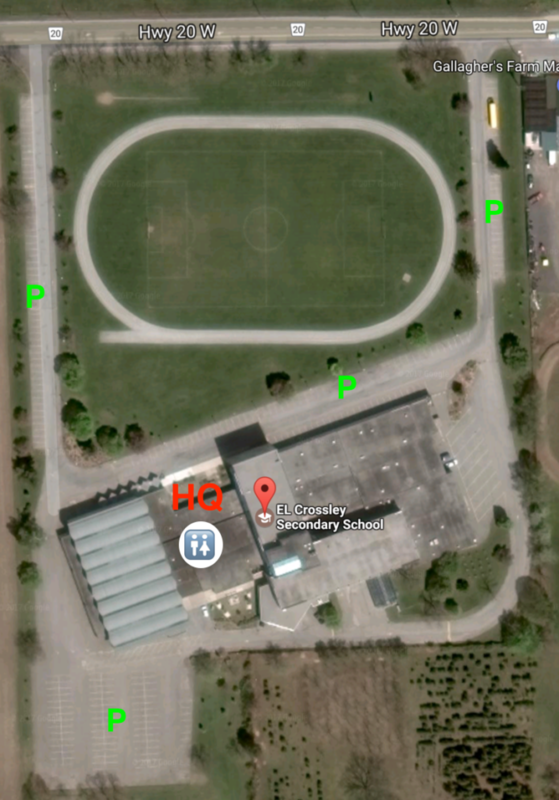 All parking should be at the Headquarters / E.L. Crossley Secondary School. No parking will be allowed on the side of the race course. Vehicle park on the side will be required to move or towed at their own expenses. A shuttle service will run between the Race Headquarters and the Start/Finish/Feed Zone area. Driving Directions Expect traffic and longer delays on the QEW due to the holiday weekend.